Silicone Case for iStick 50W Battery, a practical battery body protection case. It fits well with both iStick 50W battery with the button design. Get it as a spare part with reasonable price. Really like this silicone case for my 50w eLeaf. I picked this one because there is know way the eLeaf is going to slip out of it. It definitely feels thicker and tougher than I thought it would. Wish I had gotten it sooner so my poor battery wouldn't be so beat up. The buttons all work great. They thickened the silicone over the buttons so it is easy to push them. There is, of course, cut outs for the charging port amd the LED screen. I do wish the had some solid black cases but after seeing how good this one looks, i am happy with it. 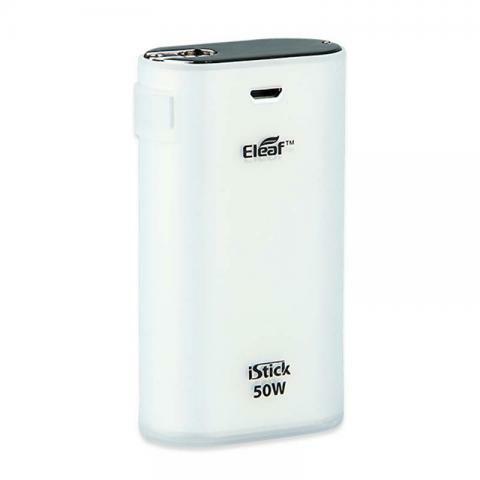 Stick 50W Battery Silicone Case is well designed with the 50W to prevent abrasion. It is of good quality and helpful. Made from silicone with protection from external damage.